Poets For Dinner likes to pride itself on the unique format and treatment of it’s features. For example, at your average open mic; the feature is usually called in the middle or the end of the night. At Poets For Dinner, the feature is called to perform 3 times throughout the evening to mirror the courses one would receive if at an actual restaurant. Each feature is asked to do a piece to open the night (appetizer), two in the middle (main course/entree) and one to close the evening (dessert). Every feature also gets the honor of picking the month’s menu/theme. Emerging out of the windy city, better known as Chicago by way of Atlanta, Georgia; Theresa Tha Songbird is a songstress who weaves together poetry and stories in rhythmic form. Now a published author, talented jewelry maker; she believes there is no better connections made than the exchange of energy over art. 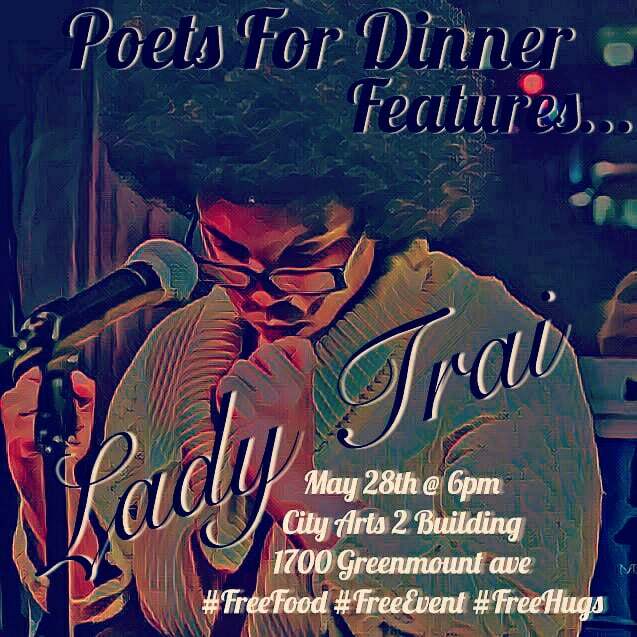 A community organizer; activist, teaching artist for Baltimore City Public Schools, professor at MICA, playwright, host, poet, emcee and pretty much a woman of many hats; Uni Q. Mical is a being who believes "art and healing are synonymous." Hailing from the city of charm, Baltimore, MD; Quinton Randall also known as "Q" is a musician with a message that goes beyond the Baltimore blues he's known for. With guitar in hand, he takes the audience on a spell bound journey that encourages us to get on a good foot and spread love. 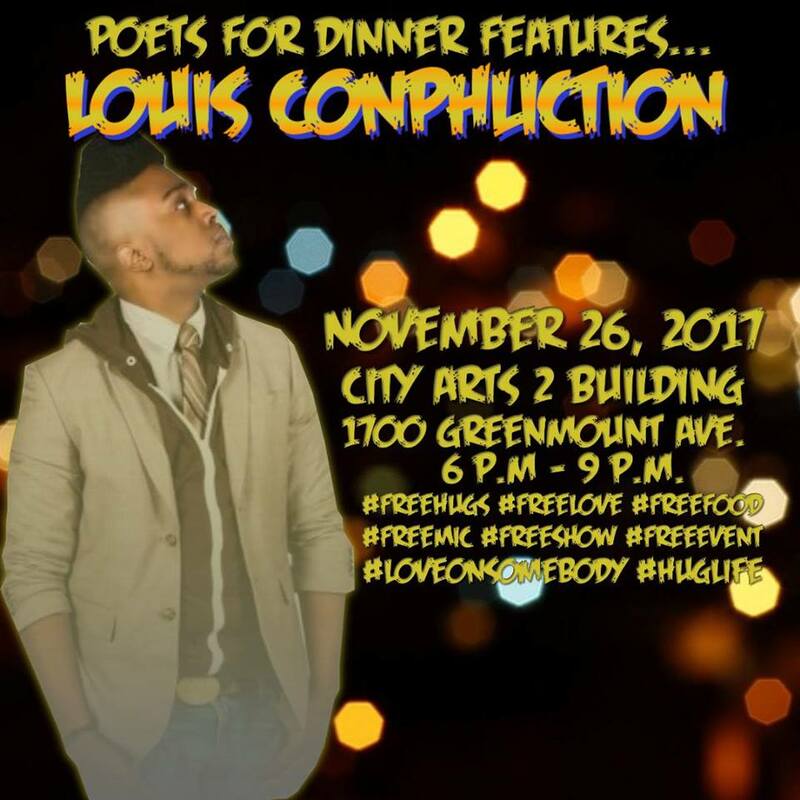 Please find and follow his journey on IG @loucon3. 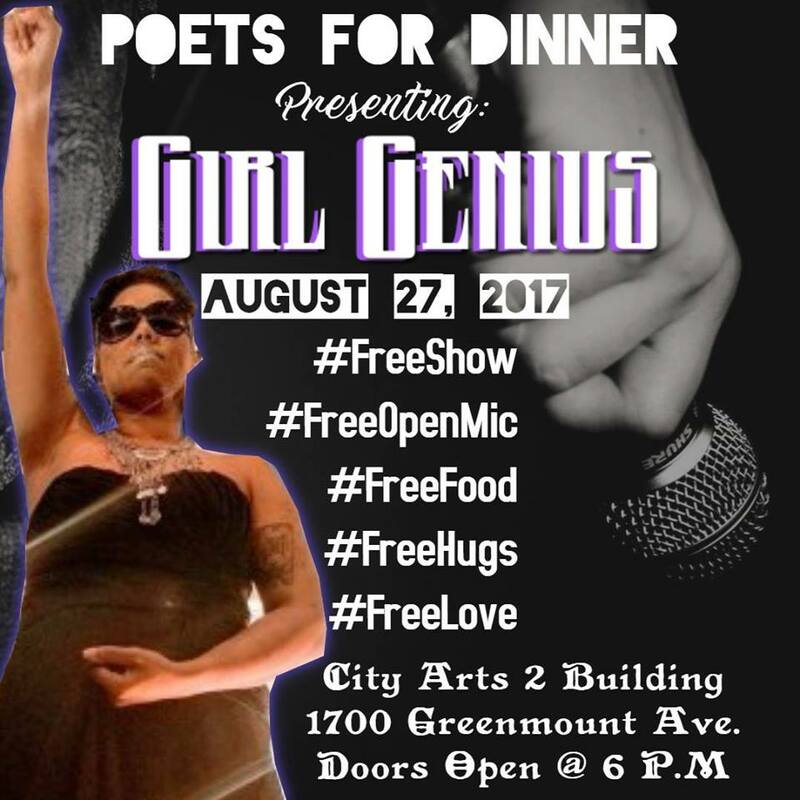 With a conqueror’s mentality, Girl Genius’ is a poet who's message is like; "Good coffee. Meant to wake you up." Her perspective is, “write for you, but give to them... maybe I wrote this to heal myself, but maybe you needed that too." or on IG and Tumblr @apoetcalledgenius. 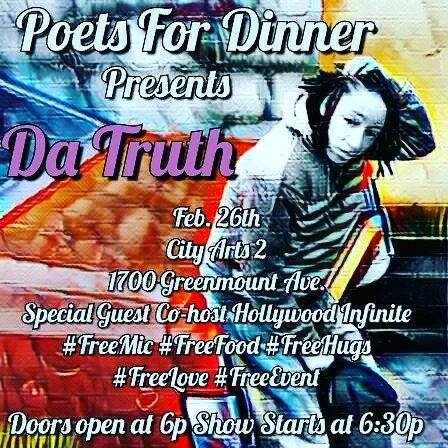 Da Truth is a talented poet and performer. Enriched with an insatiable desire to not only "bring out the whole truth about life; the good, the bad, the beautiful and the ugly;" at any given time she is opened to spread not only knowledge but love as well. LET COOK ON MEDIUM LOW HEAT FOR 30 MINUTES OR UNTIL ALL VEGETABLES HAVE COOKED DOWN AND WITHERED TO DESIRED TEXTURE STIRRING EVERY 10 MINUTES. WHEN GREENS HAVE COOKED TO YOUR DESIRED WILTING POINT, TASTE TEST TO SEE IF MORE SEASONING IS NEEDED TO FIT YOUR PALLET. SERVE ALONGSIDE YOUR FAVORITE MEAL AS A SIDE OR WITH A BAKED YAM AS A MEAL. 1.) Clean your produce! Rinse off the apples in cold water. Pat dry. Cut the apple and set a side. 2.) Over medium low heat; combine apple slices with butter and sugar in a small saucepan. 3.) Stirring until apples start to yellow and curl. Careful not to burn them. Remove from heat and place to the side in heat resistant bowl. 4.) In a separate mixing bowl prepare pancake batter in accordance to given directions. 6.) Flip when bubbles appear on the surface of the uncooked side. Cook 2- 3 minutes on each side or until golden brown. 7.) Once pancakes are done; plate and add the apples on top.